Durable polyester construction. Bright red inner lining for easy visibility of stored items. 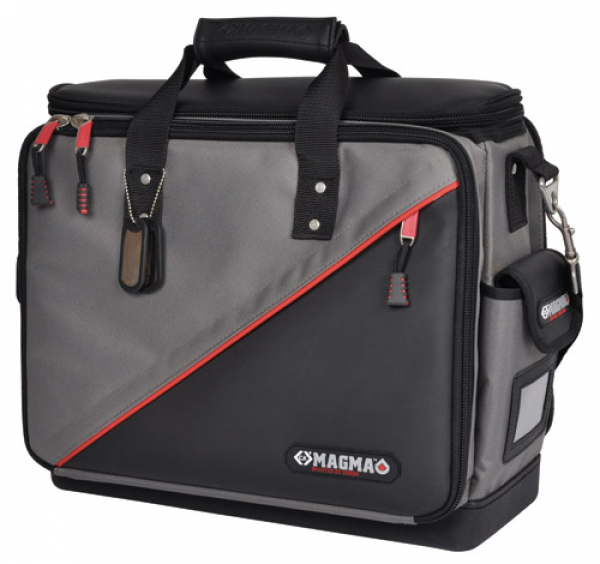 50 pockets and holders including fold out panels for easy tool access. 100% waterproof and crackproof rubberised base. Padded handle and shoulder strap for maximum comfort. Padded central compartment fits laptop. Internal document pocket.